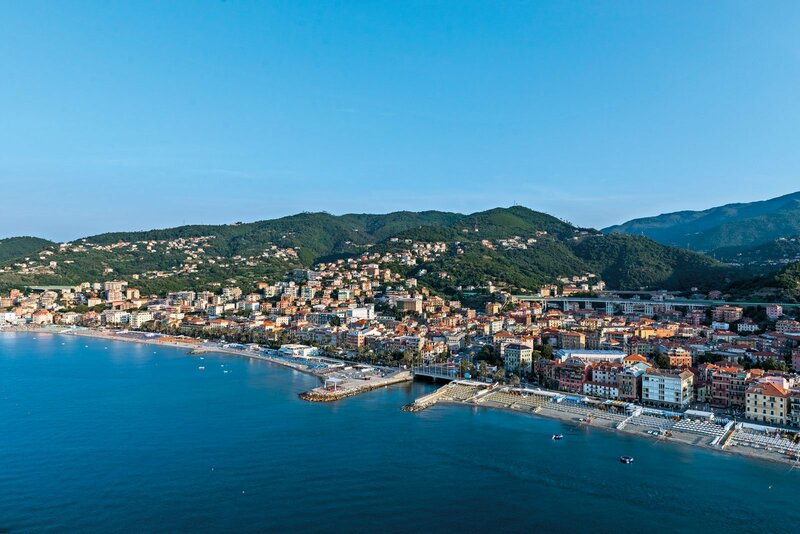 At the heart of the Gulf of Liguria, on the Riviera delle Palme, Varazze offers you the cheerfulness and colors of the beach and caruggias beside the peace and silence of the hill and the woods surrounding the town. A truly unique and evocative landscape, suspended between sky and sea, designed to enjoy days of relaxation and fun. Varazze is a characteristic Ligurian village, lying on the coast, with narrow tugboats around the squares surrounded by typical colored houses. Walking around the historic center, for leisure or shopping, we discover Varazze as a city of art and history. To see the Church of Sant'Ambrogio, recognizable for the Roman brick gothic brick bell tower, which contrasts with the Renaissance facade, the building of Blessed Jacopo, an ancient town hall, asks for SS. Nazario and Celso, the church of S. Domenico, the speakers, the seats of the city's confraternities, the sanctuary of St. Catherine to the east, whose story is linked to St. Patrick and Villa Cilea. So many places to enter and admire the masterpieces of art that are kept there. 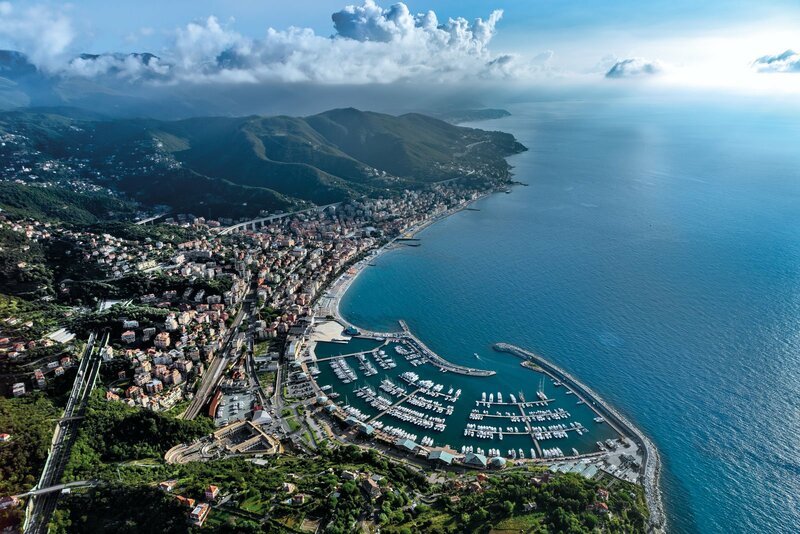 Varazze is a city full of sport activities, you can walk to the European promenade by foot or by bike (5 km). In the center, there is the Sports Hall with a 800 sqm floor area with parquet floor, suitable for any kind of sport: volleyball, basketball, gymnastics, handball, martial arts and soccer. In the hinterland, you can go horseback riding and jump jumping, as well as numerous mountain biking tours and walks in the region's hills on the Varazze hills. 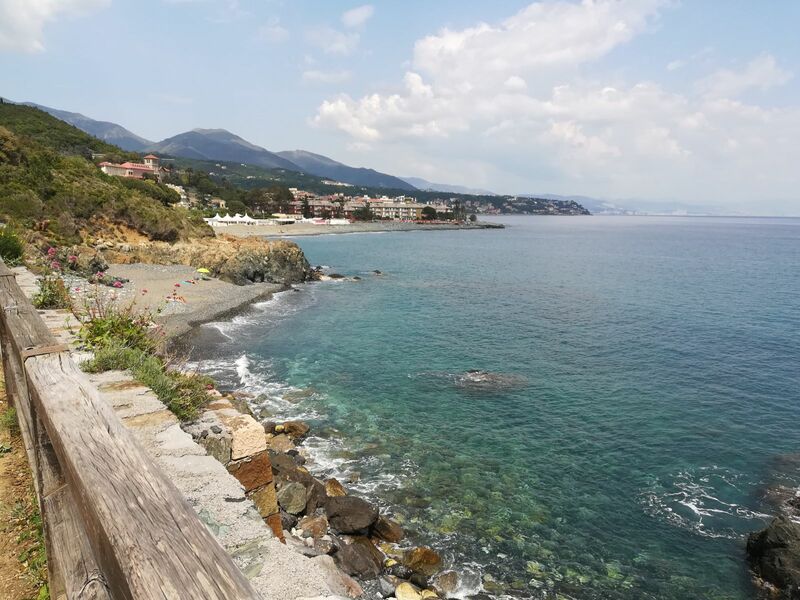 Varazze is also a popular destination for all surfers and any type of water sports, it is possible to practice sailing courses, windsurfing, sport fishing and scuba diving. In the summer months you will be able to enjoy excursions organized for the sighting of cetaceans passing through the Ligurian Sea! 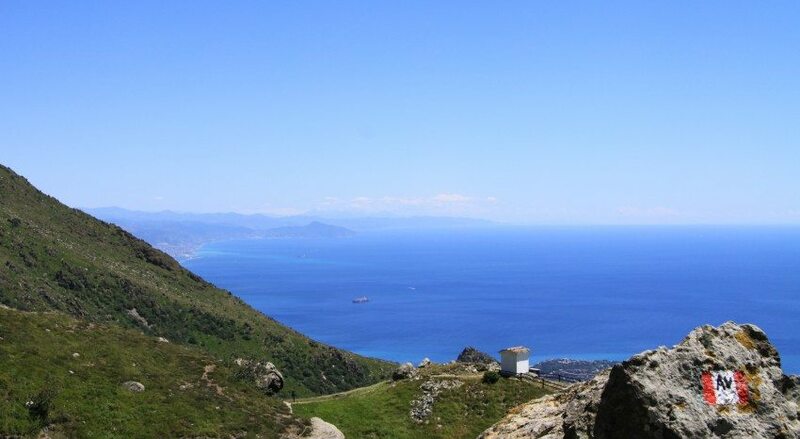 The Beigua Regional Nature Park is a protected natural area of ​​Liguria in a territory extending between the metropolitan city of Genoa and the province of Savona and includes Mount Beigua. There are many hiking trails in the Park area and crossed by the High Street of the Ligurian Mountains. The Beigua Park is a spectacular balcony formed by mountains overlooking the sea, which encircle extensive grasslands and thick forests of any vegetation. The mosaic of environments and the diversity of the land make it one of the richest areas of biodiversity in Liguria. It is possible to admire the migration of daytime raptors and the presence of numerous ornithological species, in addition to real eagle, royal owl, codixone, dumplings and so many more! The protected area and the Beigua area offer interesting events in all seasons of the year and allow the visitor to choose the most suitable time with a variety of opportunities to stay. 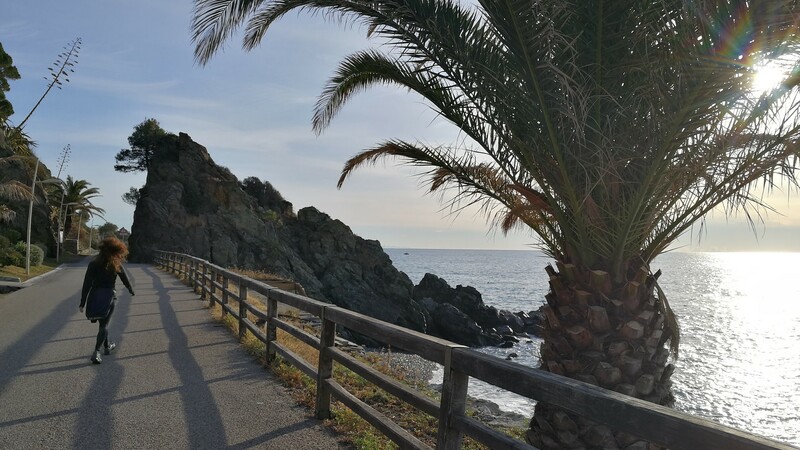 The promenade between Cogoleto and Varazze, called "Lungomare Europa", is about 4.5 km long and runs much of the old Genova-Ventimiglia railroad line, built between 1860 and 1868 under the united kingdom Then in 1970. Historical legacy is witnessed by a series of galleries, nine in total, where the train was crossing and still today there are still several railway artifacts of the time. Nestled between the green and the sea, surrounded by the characteristic vegetation of the Mediterranean macchia and the rocks that peak on the Ligure, the walk allows you to know the corners of the Ligurian Riviera of Ponente where the natural ecosystem is safeguarded and the intervention of man , Where present, is respectful and little invasive. With the village behind and the noise of the cars, dotted, in the distance, you can devote yourself to enjoy the beauties of the Ligurian coast: on the one hand, the shrubs of the Mediterranean scrub on the other hand, the cliffs that here and there They make room for small rocky plains. It is surrounded by nature in a protected and constantly monitored environment, of which you never get tired. Along the way there are several panoramic views that represent the perfect frames to capture the landscape. The seafront is like an open-air museum, including some information panels (also in English) scattered along the way, to explain the process of forming this stretch of Ligurian territory, the result of erosive action of weather agents over time . Ideal Period: Except for extraordinary events, the walk is always open and, as far as the season is concerned, most of the route is under the sun and therefore I would not recommend taking you on a 2 o'clock in a hot summer afternoon! The first human settlement arose in the hamlet of Alpicella in the 2nd millennium BC. Later, in the immediate vicinity of the local railway station, in the first century a Roman building called "Ad Navalia" was built. The first official citation of the name, shown on the Peutingerian Table, dates back to the X century with the medieval name Varagine ("the place where ships are launched"). And the flourishing activities related to the construction of ships and boats were the preconditions for a continual struggle, in medieval times, between the municipalities of Savona and Genoa for the control of the fief and the territory of the warehouse. Already a member of the Aleramic brand, from the 12th century it became a fief of the family of Bosco and Ponzone while in 1227 it was formed in autonomous commune. Returned to the Genoese orbit, following the drafting and arrangements of the Peace of Varazze of 1251 on the division of the territories of Savon and Genoa. With the fall of the Republic of Genoa (1796), in the wake of the French Revolution and following the first Italian campaign by Napoleon Bonaparte, the warehouse territory came back from December 2, 1797 in the Letimbro Department, with its capital Savona. The Ligurian Republic. From April 28, 1798, with the new French ordinances, he returned to the XI Canton, the capital of the Columbus Jurisdiction and from 1803 the main center of the Canton of Varazze in the Jurisdiction of Columbus. Associated with the First French Empire from 13 June 1805 to 1814 was included in the Department of Montenotte. In 1815 it was incorporated into the Kingdom of Sardinia, as it established the Vienna Congress of 1814, and subsequently in the Kingdom of Italy since 1861. From 1859 to 1927 the territory was included in the mandate of Varazze of the Circondario of Savona belonging to the Province Of Genoa; In 1927 also the commune of Varazzi passed under the newly formed Province of Savona. In 1864 he obtained the title of the city.